Today is the Sustainable Book Club meet up, where we will be talking about Stuffocation by James Wallman! Feel free to chat about it any time during the day, but the plan is to try and Tweet/ Facebook about it between 12.00 and 13.00 and 20.00 and 21.00. 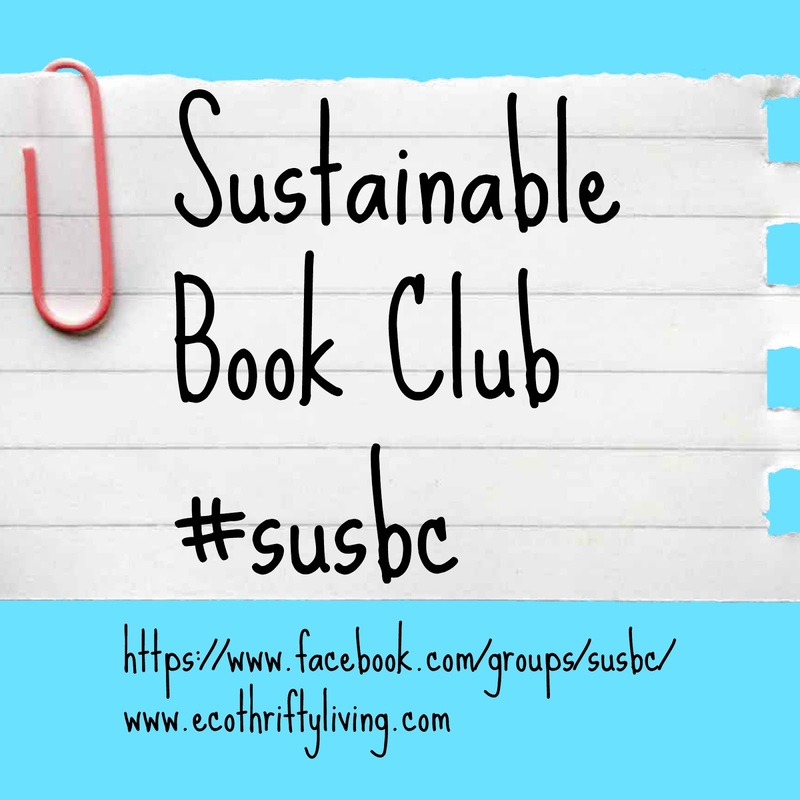 On Twitter search for #susbc to join in and/ or chat to me on @ecothrifty and on Facebook feel free to join the Sustainable Book Club Facebook group here. I read Stuffocation really quickly as I couldn’t put it down to be honest. It was a very readable book. The author is also very clever at leading you down one path, only to emerge onto a completely different one. I don’t want to give too much away if you haven’t read it, however the end conclusion is roughly that we have too much stuff and that going forward we should spend our money on less stuff and more on experiences. I knew that was what the book was about before I read it and I did think, knowing that what is the point of reading the book? Well I think the book is worth a read especially if you are going down a minimalist/ simple living/ good life type road as it challenges the practicalities of those lifestyles and brings them into the real world. It is also really interesting for any salespeople out there and a fascinating prediction of the future. Plus if you are anything like me after reading the book you will have an irresistible urge to spend all your spare time decluttering, as the problems of too much stuff are spelled out in black and white! Do you feel more or less inclined to be a minimalist or live the good life or the medium chill after reading the book? Why? If you looked at your current spending on stuff vs spending on experiences, what ratio are they in? Do you plan to change that in future? Do you think you need it is important/ useful to spend money on experiences (as opposed to not spending money on experiences and just enjoying free experiences)? Have you suddenly had an irresistable urge to declutter after reading the book? (Or like me ramped up the urge – I was already on a decluttering mission, reading this book just added fuel to that fire!). Or has your relationship with stuff stayed the same? If you have had an urge to declutter, how easy do you think it will be to keep the clutter from building back up again? What could you do differently to stop that from happening? What do you think of James prediction for the future? What are the positives of that and what are the limitations? Overall how did the book affect you? What will you remember about it (if anything) in 10 years time? If you want to chat about some of these questions on Facebook/ Twitter later today or in the comments on the blog that would be great as I am really interested in hearing what you think. Don’t feel obligated to at all though – maybe just have a think about them for yourself or chat about them with a friend. My final question is what do you think we should read next time? @BeanTweeting suggested How Green Are My Wellies by Anne Shepherd, The Moneyless Man by Mark Boyle or All You Need is Less by Madeleine Somerville. Let me know in the comments which one you think we should read by 24th June and I will pick the most popular choice (can be one of the above or a new one) for our next book club meeting. If there isn’t an obvious winner then I will choose one. I’ll also let you know the next book club meeting on the 24th! This entry was tagged #susbc, Book review, eco, Frugal, Green, sustainable, Sustainable book club, thrifty. Bookmark the permalink. ← Why is decluttering so hard and how can it be made easier?? ?